I have a very simple rule here at Fortress Jeff: When bad things happen as a result of piss poor decision making, the buck stops with me. I get the credit for the good stuff so it’s only fair that I take the blame when my decisions go awry. When I was 20 years old and walked into the cave-like bar in the basement of the Hotel Gunter, I knew damned well and good I was under the legal drinking age. I also knew they’d serve me. When the local constabulary arrived asking to see everyone’s papers, I wasn’t the victim of a totalitarian police state. I was the victim of being a stupid 20 year old making my own bad decisions. Four years later, when my beloved Jeep was broken into. The slash and grab cost me a few hundred dollars of CDs and an ashtray full of change. Yes, I blame the criminal for breaking into a locked vehicle, but I share the burden of blame because I left an easy target sitting in plain sight. If there hadn’t been something of obvious value in clear view I wonder if he’d have passed on to the next target of opportunity. If nothing else, social media has shown me that we live in a world where people think we should just all love one another and there are butterflies and peppermint sticks at every turn. The reality is that we live in a world where bad things happen and where there are natural consequences that accompany every action. When you play stupid games, there’s a strong probability that you will win stupid prizes. No amount of wishing it different will change that. I’m not here to shame any victims or absolve the fault of any criminals, but I am here to say that we’re all responsible for our own behaviors and actions. Bad things happen to good people all the time. The very best thing we can do as individuals is to understand the important relationship between action and consequence and the do our best to mitigate our personal risk factors. One awfully easy way of reducing the number of bad things that could happen to you is to give it some thought before you walk down a dark alley alone, or leave your computer laying on the back seat of your car, or drink until you’re blind drunk. People with bad intentions are out there already and they may do horrible things anyway, but it damned well doesn’t mean we should make ourselves an easy mark because we think we’ll be untouched by other people’s bad decisions and immune to the consequences of our own. Orion. It’s really that simple. 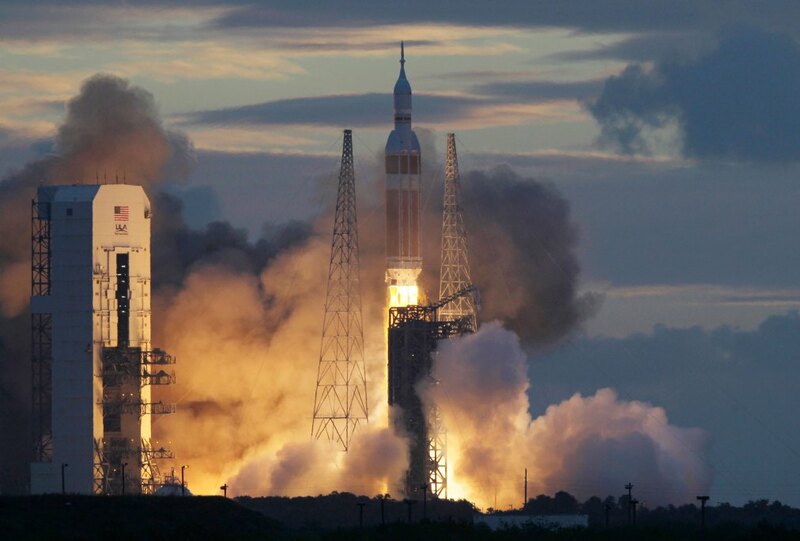 I like Orion and the fact that for the first time since the early 1970s, the United States of America hurtled a man made object out beyond low earth orbit. I like Orion because it represents the next in an unbroken series of exploratory and evolutionary steps that have carried humanity out of the Great Rift Valley, across and under oceans, and to the moon. It’s the only thing that makes sense after we’ve hunted and gathered our way across the surface of the entire planet – learning how to live in every inhospitable environment this world can throw at us. It’s what must be next because leaving this fragile blue planet is the last, best hope that human civilization will endure should we ever be dumb enough to destroy ourselves here on earth. Of course leaving the planet is also the best chance that we’ll run into an aggressive space traveling civilization, microbes against which humanity has not natural defense, or give us the capability to militarize deep space and kill off civilization in entirely new and interesting ways… so it’s kind of a double edged sword. Still, it’s worth every penny and every risk. Note: This is the 3rd entry in a six-part series appearing on jeffreytharp.com by request. Yesterday you made a big deal about wanting someone in the room to flip your slides while you gave the new employee briefing. Today you threw that person out of the room once they got their computer set up (I won’t mention that employee then didn’t have a computer to use for, you know, work, for the next 90 minutes). Then you threw out the other “witnesses” in the room who were in a position to argue with what you were about to say to the poor unfortunate new guy. Is it possible that you were going to weave him a web of lies and that the presence of informed people might undermine that? Are your lies so unbalanced now that you can only tell them behind closed doors? Maybe it’s that you’ve told so many that people are catching on and comparing notes now. Better not to risk having too many people in one place these days. Paranoia is a classy look. Oh Uberboss, you may have the title, but you’ll never have what you really want. Forget about the respect of your peers. You’d be hard pressed to find someone in this building that even likes you as a human being.